The ninth session of the World Urban Forum (WUF9), organised and convened by UN-Habitat, was held 7-13 February in Kuala Lumpur, gathering together a wide range of experts including academics, regional and local governments, NGOs, community-based organisations, and research institutions, in the field of sustainable urban development and human settlements. As a commissioning editor in these areas for Palgrave Macmillan, I found it was a good opportunity to explore the latest advances in urban research and practice, and particularly in light of the focus on Grand Challenges publishing at Springer Nature. A targeted approach to tackling urban issues is being underpinned by the New Urban Agenda (NUA), which is essentially a blueprint for action geared towards civil society, the private sector and the global scientific and academic community. The NUA acts symbiotically with the Sustainable Development Goals – particularly SDG 11, which aims to make cities inclusive, safe, resilient and sustainable – and provides useful indicators against which the achievement of SDGs can be measured. At the heart of the NUA is the goal to build a well-balanced progressive society that takes full advantage of developments in science and technology. With more than 20,000 participants from 165 countries, hundreds of concurrent sessions, and countless networking seminars and side events, there was much to discuss at WUF9! The following themes –closely aligning with our Science & Society publishing programme – captured my attention as areas where quality interdisciplinary research is being undertaken, helping to effect positive change on the ground. Streets and public spaces define the character of a city, and form the skeleton upon which all else rests. But rapid urbanisation, particularly in developing countries, places immense pressure on land for housing and other services. This pressure often leads to the privatisation of land (such as gated communities), the commercialisation of the pubic good (such as shopping malls), and the erosion of public space—all of which impede social interaction, erode community spirit and degrade established value systems. Placemaking is a concept widely promoted as an effective countervailing approach, and which capitalises on a local community's assets, inspiration and potential, with the intention of creating public spaces that promote health, happiness and wellbeing. At WUF9, there were roughly 40 organisations actively involved in researching and implementing placemaking solutions at the city level, including a Spanish multidisciplinary team of urbanists named Boa Mistura who are pioneering participative public art projects in Latin America, colourfully transforming urban environments to better connect cities with their inhabitants and create stronger bonds between locals. In urban centres with limited public space or facing severe weather conditions (such as Montreal and Helsinki), the underground is being promoted as the new frontier for urban space and place. With rapid urbanisation, many town, cities, and human settlements are faced with the challenge of providing adequate housing for their residents. Housing accounts for more than 70% of the land use in most cities, and has transformed and affected the way that cities and societies develop. The coverage of urban land is expected to expand by up to 310 percent by 2030, and 96,000 housing units must be completed each day from now until the end of 2030 to meet projected housing needs. There is growing interest in examining rights-based, culturally responsive and environmentally conscious housing solutions. Some notable examples at WUF9 included specially designed windows in India that fit onto corrugated roofs, letting light and ventilation into previously dark and hot rooms (vastly improving the conditions in over 18,000 households across seven states). In El Salvador, poor quality shacks are being replaced with safe, colourful, and permanently affordable homes, owned by the community themselves. And in Germany, semi-permeable construction design helps fill tanks on the Bio Intelligent Quotient house’s facade with microalgae to produce biomass and generate electricity. One of my favourite quotes from WUF’s public ‘Cities Wish List’ board simply stated, “a healthy city is a wealthy city.” Certainly, good health is closely linked to economic development, and cities are unquestionably the engine of economic activity. Furthermore, cities with walkable, bikeable streets and effective mass transit promote physical health, reduce pedestrian accidents and lower air pollution (to be examined in a forthcoming Palgrave Macmillan book titled The Health of Cities by epidemiologist Mark Stevenson). And, as illustrated above, health and community cohesion are also inextricably linked; in more cohesive communities (where there is a strong sense of place) there is less social isolation and more inclusive governance. One admirable example of research being successfully translated into practice is in Cameroon, where ARCHIVE Global has provided simple design solutions to help residents in an informal urban settlement in Yaoundé to plaster cracks in walls, improve sewerage and drainage, build and fit window and door screens, and grow mosquito repellent plants (halving the number of mosquitoes, and vastly reducing the incidences of malaria). In Belfast, local community groups have setup the first dementia-friendly neighbourhood in Hemsworth Court, strengthening civic relations and forging a better sense of place. R&D has also led to the development of some exciting new online tools in the city health arena, such as AirQ+ which enables urban health and air quality experts to quantify both deaths and hospitalisations due to local air pollution exposures. Other tools such as HEAT (Health Economic Assessment of Transport for Walking and Cycling) allow policy makers to estimate health improvements and related economic savings of increased physical activity due to walking and cycling. As cities invest in reducing emissions (cities currently account for more than 70% of global emissions), whether in transport, energy efficiency, buildings, waste or the water sector, they have also become increasingly vulnerable to the effects of climate change. Knowledge and data are an integral part of climate action, and the global scholarly community and publishers have correspondingly central roles in producing and disseminating such critical information. Examples of recent innovations in this space include the Fukuoka Method of waste management – pioneered in Japan (and recently exported to Kenya) – which uses innovative semi-aerobic sanitary landfill technology. Green housing (which is usually only affordable to high-income homeowners) is being democratised in Woodland, California, through a range of opportunities including leadership development schemes, peer lending circles and digital literacy classes. In Armenia, Bosnia & Herzegovina and Macedonia homeowner associations are being formed by residents to borrow collectively to carry out energy efficiency improvements to their homes. In the conference hometown of Kuala Lumpur, the city’s Stormwater Management and Road Tunnel (SMART Tunnel) serves the dual function of storm drainage and road structure. It is the longest multi-purpose tunnel in the world, and in 2011 received the UN Habitat Scroll of Honour Award for its innovative and unique management of storm water and peak hour traffic. There was much emphasis on the concept of ‘self-recovery’ in post disaster and post conflict scenarios. Current efforts here are being directed to providing communities with creative solutions and technology, such as the skills to rebuild homes using locally made materials and debris from destroyed houses, to aid in rapid grassroots recovery. In October 2016, the UK’s Global Challenges Research Fund (GCRF) awarded a grant to a multidisciplinary research team to explore self-recovery in rural settings in the Philippines and Nepal. Promisingly, in 2017 the group was awarded a British Academy GCRF grant to build on this initial work by expanding the focus to self-recovery in urban environments. From an environmental psychology perspective, there is a turn toward normalising the realities of climate change, with a focus on living with as opposed to responding to. This approach is being borne out in Mozambique, for example, where several cities have constructed innovative low-cost social facilities and schools which double as climate-proof shelters, to be shared during times of severe weather. Considering transport and mobility, it was noted that if cities embrace the ‘three revolutions’ of automation, electrification and ride-sharing there is potential to reduce global transport-related emissions by 80 percent by 2050. Although smart cities are loosely defined and keenly debated, you couldn’t escape this term at WUF9. In terms of the latest R&D, the most intriguing concept I came across was the Environmental Island – essentially a floating technological city on the sea, roaming the equatorial pacific and using desalination as an infinite water supply for a fully self-sufficient community. GIS, 3D modelling, drone technologies (primarily for surveillance/urban safety) and citizen gaming – such as location-based gaming, which will be the subject of a forthcoming Palgrave Macmillan book by Dale Leorke – were also widely discussed topics. So, what will the city of the future actually look like? The below scenario (adapted from the German Environment Agency’s Tomorrow Cities program) looks pretty spot on to me! “In the future you will live in a city with no traffic jams and unhealthy exhaust fumes, without noise and long journeys. Your bakery, greengrocer, health centre, post office and kindergarten are all just around the corner. The next park (a community-led converted brown-field site) is just a stone’s throw away, with children’s playground and jogging track. Cafes serving locally sourced produce are in abundance. Although gaps between buildings in the area have been filled by the city with new residential and business comple­xes as well as small businesses, you can still sleep undisturbed with the win­dows open. You travel to work using your bicycle, as the new cycle superhighways provide a direct, safe and convenient route. Trains and electric buses run at frequent intervals and have their reserved traffic space to take you to the remotest corner of the city in no time at all. If, in spite of all that, you still need a car, you can use an app to order a quiet, emission-free electric car – it can be charged very easily – using the lamp post in front of your door”. I’m optimistic this prediction is not Utopia. A city fit for the future is achievable, and we can all play a small but active part in getting there. What role can publishers play? One of the most interesting sessions at WUF9 was a panel probing the current relationship between science and the future of cities. Michele Acuto, Co-Chair of Nature Sustainability’s Expert Panel on the urban science-policy interface (and editor of our Cities and the Global Politics of the Environment book series), lamented the fact that while the world is slowly recognising the central role that urban areas play in shaping global sustainability, academia is lagging behind. Indeed, urban research is not keeping pace with what’s required to implement positive change, and as Michele and colleagues recently observed in Nature Sustainability, “we urgently need to…forge new knowledge that responds to complex urban challenges.” Compounding this issue, far from being a coherent ‘urban science’ extant research remains narrowly concentrated and siloed between disciplines (or characterised by glib interdisciplinarity). As with Grand Challenges, these are unquestionably messy problems, and obstacles naturally exist at the policy and implementation level, too. One delegate I spoke to remarked that whilst cities are becoming increasingly autonomous – with powers almost universally expanding at the municipal level – they generally still rely on unpredictable and unreliable revenue allocations from central governments, which impedes effective planning and implementation processes. Yet despite such seemingly insurmountable issues, I left the forum feeling that we are on the right track, and have faith that the momentum for change and opportunities for collaboration will eventually overcome potential divisions. Encouragingly, some institutions have begun developing joint PhD programs with local municipalities to better tackle real world problems, whilst others are promoting master level research degrees producing reports for non-academic audiences. A recent UCLA report estimates that 20 higher education institutions in North America are currently participating in grand challenge programmes in collaboration with government or local industry, and states that the trend is growing worldwide. Publishers can, and should, also play an active role. Springer Nature’s Grand Challenges Programme and new interdisciplinary journal, Nature Sustainability, help bring people together from different disciplines to offer diverse perspectives that can open up a new approach. 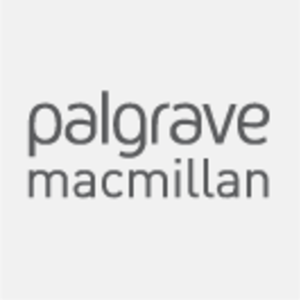 At Palgrave Macmillan, our multidisciplinary publishing programme, combined with global reach, publishing expertise and responsive formats (such as our shorter-length Palgrave Pivots, with proven success in reaching audiences outside academia) place us well to improve linkages between traditionally distinct scholarly fields. Such capacities can support the reorganisation of narrow knowledge domains, and in the process ensure the widest possible dissemination of impactful research, with real capacity to influence positive global change.